Deidre's Discoveries: Ipsy: My Year Review - And All Time Favourites! November 2014 marks my official ONE YEAR anniversary with Ipsy. I've had some awesome bags, and some not so awesome bags, but there's never been one where I've absolutely hated it. There's usually at least one item I love from each bag. Their customer service is generally pretty great. If I've had any problems, I send them an email and usually get a reply the same day, or the next day, and it's always taken care of. I've never been disappointed in their service at all. I decided I wouldn't include December's bag because we haven't got it yet, and if I had signed up for only a one year subscription, instead of month to month, then November would have been my last bag anyway. That being said - these favourites of mine go in no particular order. 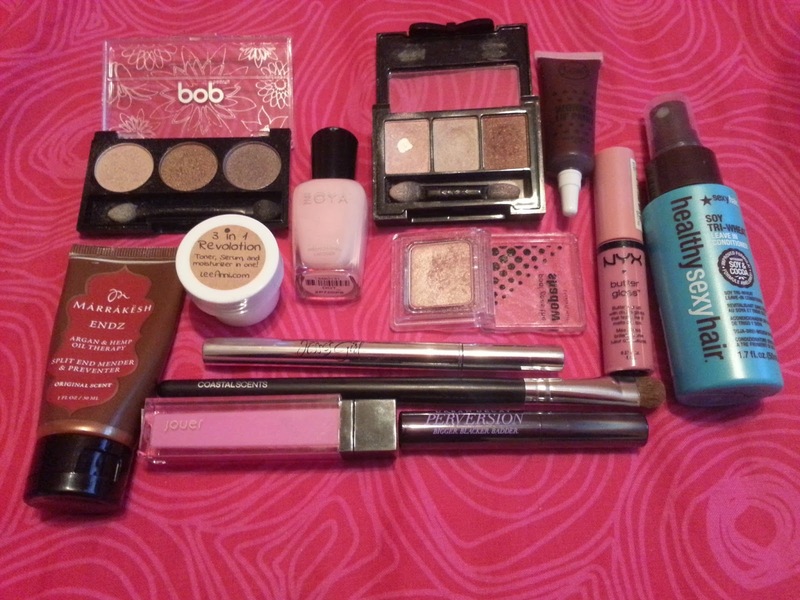 They are just items I use A LOT, and I love them! I will start with the bags themselves. November 2013 - now, I don't particularly love this bag, I think the gold snake is kind of tacky actually, but functionality wise - I have used this bag the most. The wristlet is so convenient. I have used it more than a handful of times, and even brought it on vacation with me at the beginning of the year. It was so handy. I wish they did more wristlets. December 2013 - looking at this bag, I love it. The black is classy, the fabric is durable. It could be used as a clutch - which is the only reason I have kept it. I haven't used it for anything yet, but the possibility it there, so I've kept it. February 2014 - this bag is SO flipping cute. It has a pink leopard print on the inside, and the outside is so pink. I love pink. It's bright, but not tacky. This one is also a little larger, so it can hold more. May 2014 - As far as I know, this is the first "canvas" type bag that Ipsy has carried. The print is so cute, the bag is cute, and it didn't smell. This also is a bigger sized bag and can hold a lot of products. The green also helps make it pop. October 2014 - this bag isn't very reflective of Fall. I like the colour, and its VERY similar to the December 2013 bag, which I liked. I use it to keep some extra makeup in. November 2014 - I actually really loved this bag. Forever 21 and Ipsy collaborated on this one. It's glittery, but its covered in film so the glitter doesn't get everywhere. The inside and zipper are the famous Ipsy bright pink, which I also loved. So this bag was a hit for me. Now... for my most favourite Ipsy products for the year! There are some items I really liked in bags, but I don't reach for them all of the time (like nailtini for example) so I didn't picture them or decide to write about them. These are what I use on a very regular basis. I went back to the Ipsy page, and tried to pick something from every month that I really liked. As I went through, there were some months that I didn't use products from, and others that I pretty much loved everything. I'll list which month each item came in. As you can see, this trio is pretty safe. I don't think I had a preference between the two shades they sent out. The other was grays and blacks. I'm glad I was sent this one though because I get some use out of it. Black would have been too harsh. I haven't hit pan on any of these yet, but I do use it. There is glitter in these colours. This came in my December 2013 bag. 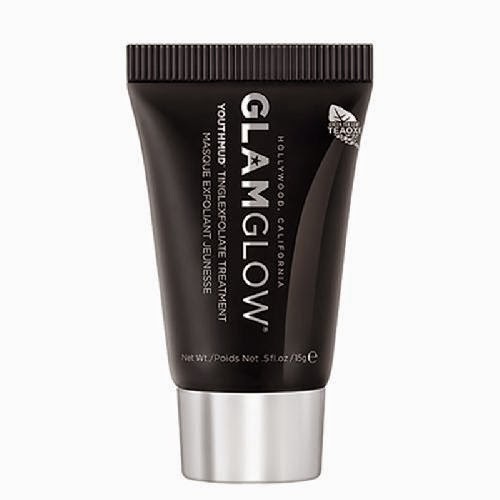 I fell in love with this product. It's supposed to be a Toner, Serum an Moistuirzer all in one. 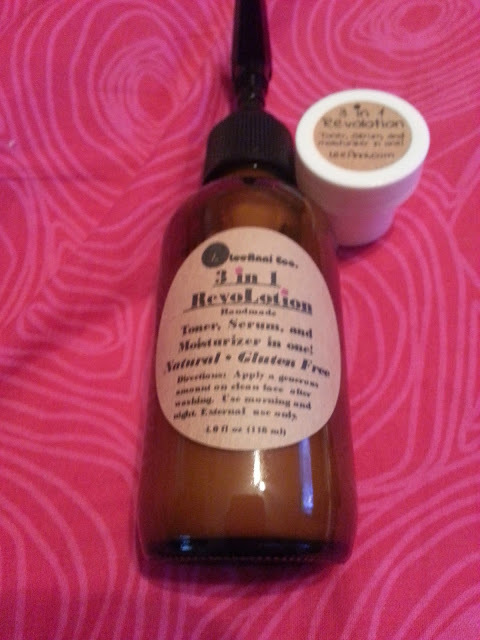 Now I'm not sure how well it tones, or works as a serum, but it worked so well on my dry skin as a moisturizer. 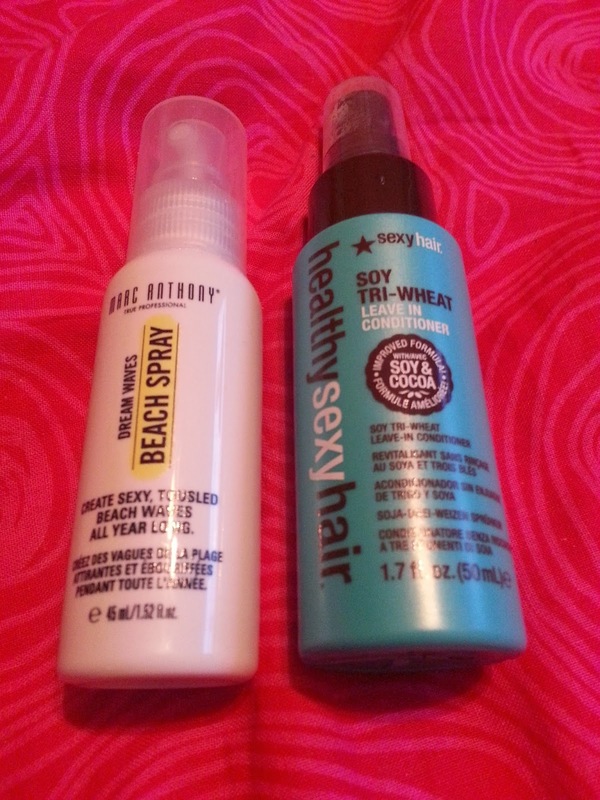 I actually tried every single day to win a full size product, and I did! Which made me so happy. Anyway, the small white container is what we were sent as a sample, and the full size is the glass bottle. My bottle has about 1/4 left. I don't use it all the time anymore, but I really like the product. Since then LeeAnni Eco has actually reintroduced this moisturizer in a lighter version as well, because people were saying this version was too heavy for them. I got this in my January 2014 bag. I really liked this leave in conditioner because it was light, and doesn't leave a heavy, greasy look to my hair. I still have a little bit left, because I don't want to use all of the good stuff... haha. (Ignore the beach spray!) I got this in my January 2014 bag. This was sent to us in two colours, the lighter pink one pictured above, and a purple shade called Odette. I wanted the pink and was so happy to see that's what I got. 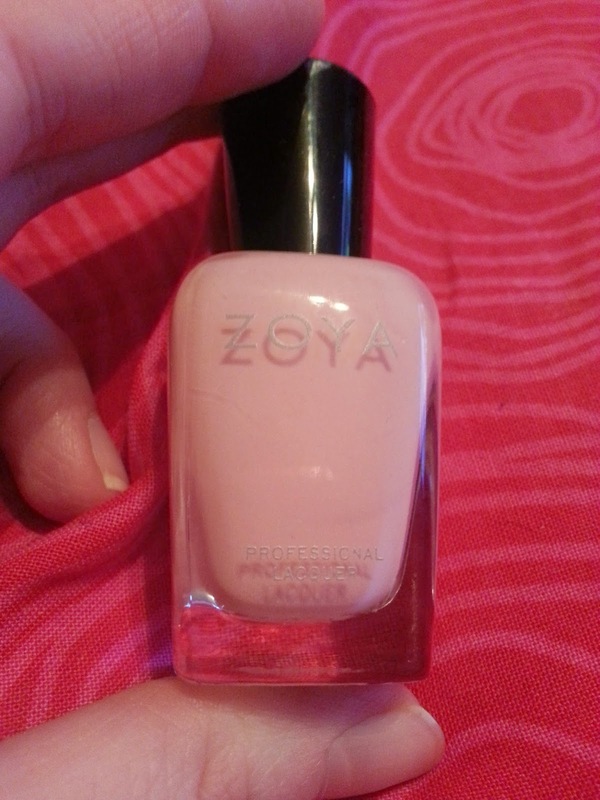 This is my first and only Zoya nail polish. 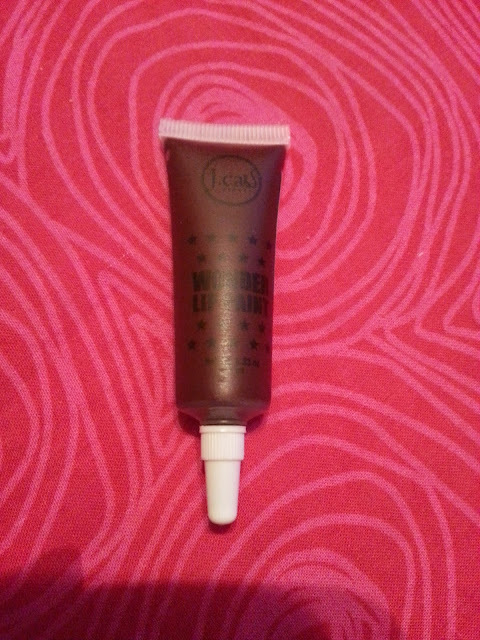 The shade is perfect, I use it a lot, and there's still a ton of product. I got this in my February 2014 bag - perfect for Valentine's Day! This is probably my most used, most loved product from Ipsy. As you can see I've hit pan on the first shade, and you can't see but I've just hit small pan on the middle. The darker shade I don't use as much, but I love all three. 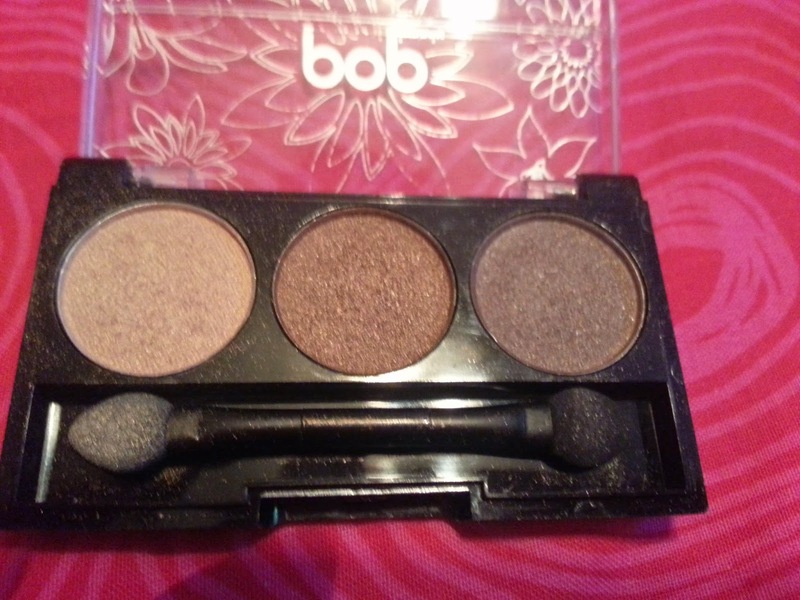 This is probably my most favourite eyeshadow. I'll have to see if I can find NYX products here in Canada! This was in my March 2014 bag. 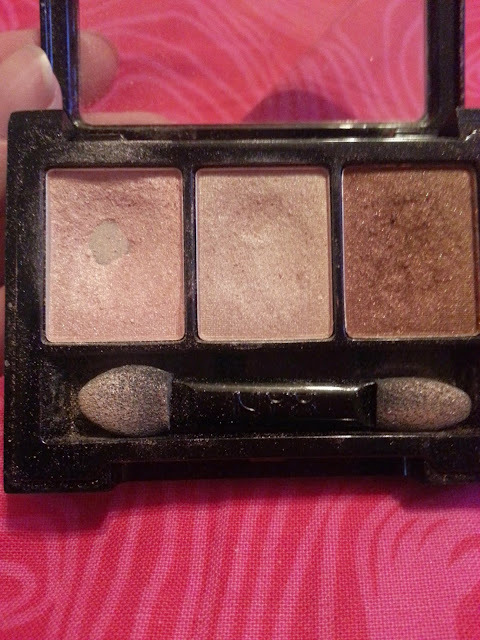 This isn't the most exciting shadow ever, but it works so well with so many looks. It's somewhat glittery, but not overpoweringly so.. overpoweringly is now a word ;) a little goes a long way, and I've used this more than I can think of. This was in my April 2014 bag. 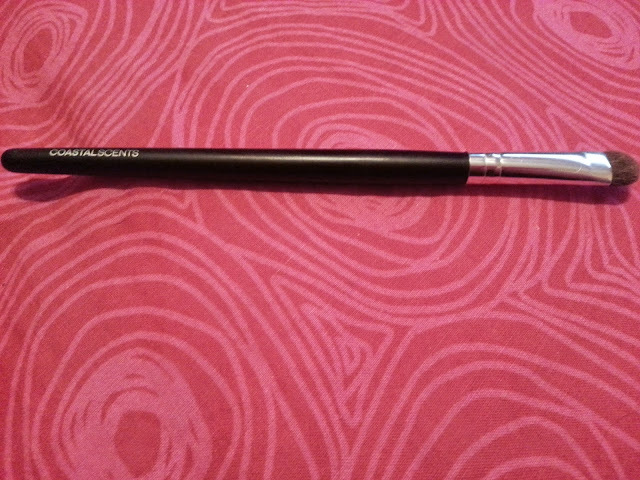 So this is just an eyeshadow brush, but I like the way it picks up shadow. It's similar to my ELF eyeshadow brushes. I use this a lot, so I figured it just made sense to add it in my most favourite items. This also came in my April 2014 bag. This. Is. My. All. Time. Favourite. 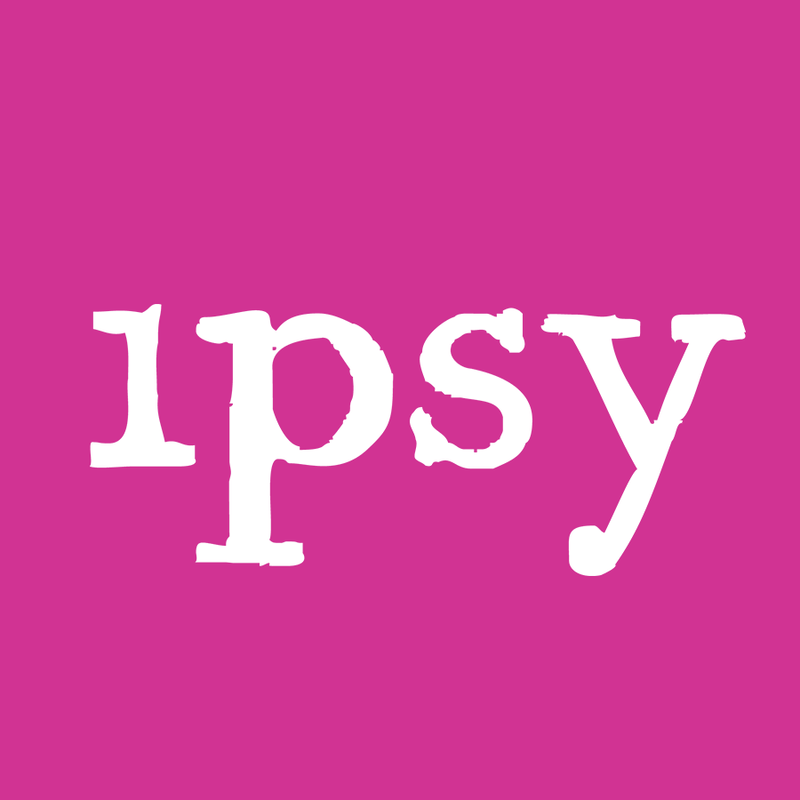 Ipsy. Item. Yes, you read that correctly. For the longest time I was using only pencil liners, then I introduced myself to gel liner and loved that. So for many many years, all I used was gel liner. Until I got this in my bag. And THANK YOU Ipsy. It goes on so smooth, and black. 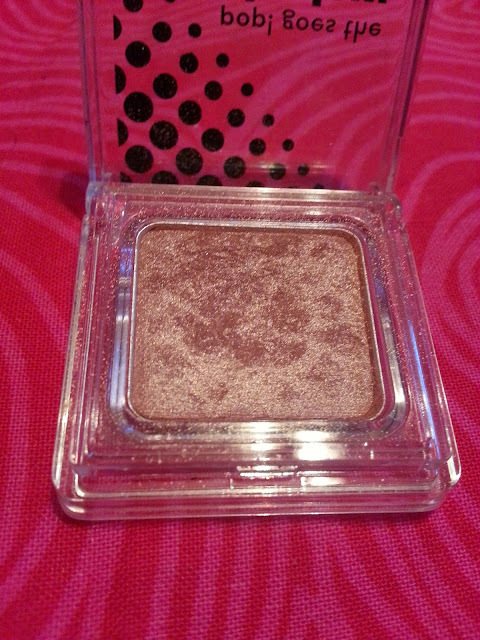 It's not dull, it doesn't flake, and dries so quickly on my eyes. I can't say enough good stuff about this. I really have to find out if they sell in Canada because I'm going to run out one day. But until that day comes, I will use this liner every time I decide to wear makeup. I. Love. It! This came in my June 2014 bag, which happened to be my best month. I really liked the Ole Henriksen wipes that I was sent in my June bag, but I used them all up, fairly quickly at that, so I don't have a picture to add! This is probably the most perfect pink colour. It matches my lips, but doesn't make them sticky or icky feeling like some thicker glosses do. It's creamy, it's buttery, it's just great. I'd love to try this in other shades. NYX you are one awesome brand! This also came in my June 2014 bag. Now this was a bonus item that I got from my points. 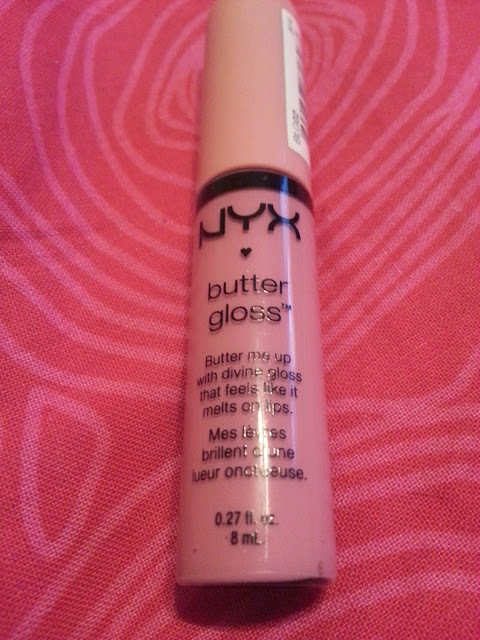 This lip gloss is a little more on the sheer side, but it's such a pretty pink colour. 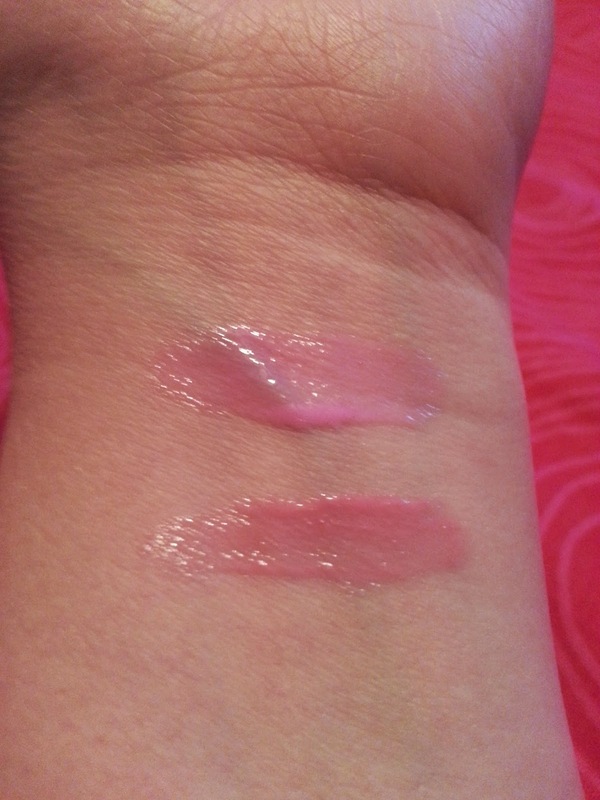 I've included a picture below with a swatch of both lip glosses on my wrist, so you can see the colour difference between the two glosses. 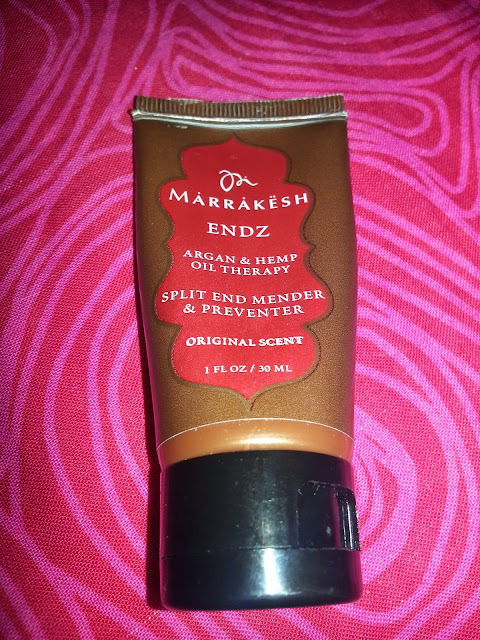 I use this one all the time, and usually leave it in my purse. This was in my June 2014 bag. So the top gloss is the Jouer and the bottom is the NYX. 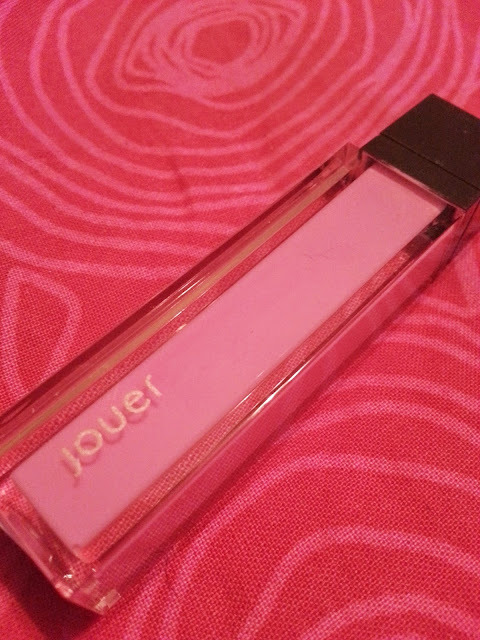 The Jouer is lighter in texture, but both are pretty. This is without a flash. The Jouer is a lighter pink, and NYX a little darker. I really like both though. This definitely isn't the best smelling hair product in the world, but it worked on my hair. I didn't notice as many split ends, and it kept my hair soft. I still have a little bit left, but I'd like to use up older products before I finish this one. This came in my July 2014 bag. I had never tried a mask on my face before I got this one, so it was all new to me. I thought it was weird that there was leaves in the formula, but I got over it. Since then I've tried other masks, and I have to say, this one is still my favourite. I don't have a picture anymore because it's been used up, but I did get a lot of uses out of this tiny sample. A little goes a long way, especially when used with a little water. I loved how I could see my pores being sucked out, and after a few seconds the tingle faded. I would love a full size of this, but it's just too expensive for me. This came in my August 2014 bag. 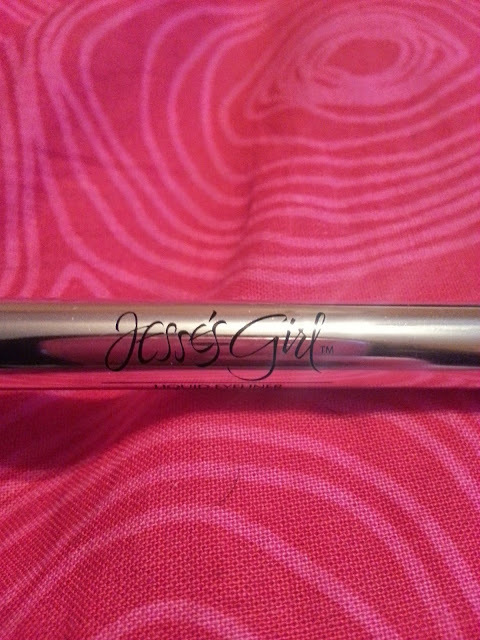 I heard nothing but great things about this mascara, especially when we all found out we would be getting it in our bags. I didn't know what to expect because I'm picky about mascara. Well, this is great. 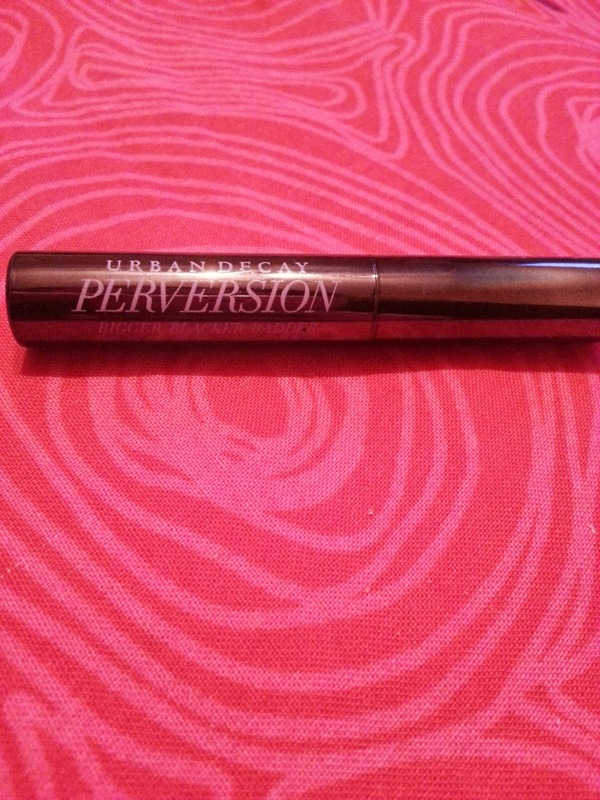 This is probably my second favourite mascara (first being Buxom Lash by Bare Escentuals) and I would consider buying this in a full size tube! This came in my August 2014 bag. At first I was so hesitant to get this, because it just looks SO dark in photos. I don't own any red lip products, so I didn't know what to expect. As soon as it came in the mail, it was seriously the first thing I tried. I've been playing around with it a little more, and I've started to love it. It can be lightly applied for just a light stain, or more heavily applied for more of a lipstick look. It starts off a little glossy, but eventually lightens to a light stain. I actually really like this. When I found out the other shade (mad splatter) was pink, and being offered as a 500 point Ipsy redemption, I wanted to cash out some points for it. But I didn't have enough points, and of course it sold out. If you are interested in trying this lip paint, I suggest it! This came in my November 2014 bag. So that's all :) Yes, it's been a long post - and thank you for reading if you've stuck through this whole post! Are any of my Ipsy (one year) Favourites, any of your favourites!? I've never tried Ipsy, but I've been needing an eyeshadow brush and the medium shadow brush you have pictured looks perfect! I really like it. I've got a few brushes from them so far that are good :) E.L.F (eyes lips face) eyeshadow brush is very similar to the Coastal Scents brush! and ELF is cheap! I love that Ipsy comes in its own bag, instead of just loose in the box like other subscriptions. I don't always use bags, but it's nice to give it to my daughter as a little treat.